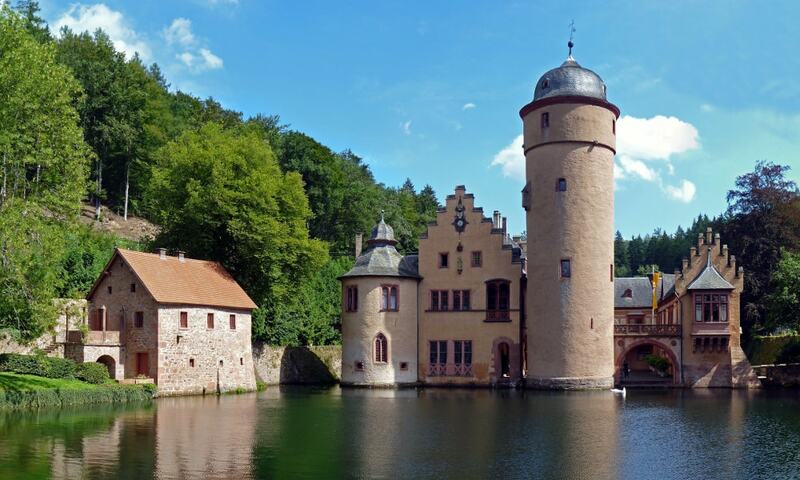 Mespelbrunn Castle is a late-medieval/early-Renaissance moated castle on the territory of the town of Mespelbrunn, between Frankfurt and Wurzburg, built in a tributary valley of the Elsava valley, within the Spessart forest. It is a popular tourist attraction and has become a famous Spessart landmark. Today, Mespelbrunn Castle is still owned by the family of the Counts of Ingelheim, who live in the southern wing of the castle, having moved out of the main rooms.